All animals (including humans) show aggression at some point. Aggressive dog behaviour is usually a response to a threat, e.g. when defending their young ones, protecting themselves, or guarding their territories. Still, aggressive dog behaviour can be a problem, which we as responsible dog owners must address a.s.a.p. Because dog aggression usually get worse with time if left untreated (or wrongly treated). There are different types of dog aggression. Aggressive dog behaviour can be directed towards other dogs, people, objects, movement, etc. Any dog can become aggressive at any time in his life. Some dog breeds are intentionally bred to be defensive but that does not make them aggressive dog breeds on its own. In every dog breed, there are dogs that use aggression inappropriately and others that don’t. Dogs that have not had the right kind of experience in their life may learn that aggression can effectively solve some of their problems. Aggression is then likely to become the dog's first choice to solve any problem. Even dog of the least defensive dog breed can become aggressive if he is raised the wrong way. This helps us to understand what motivates our dogs' aggression and how best to address it. Can canine aggression be cured? Dog behaviour modification techniques can benefit aggressive dogs but is the dog cured of his aggression? Most dog behaviour specialists believe that dog that have used aggression to deal with stressful situations in the past can fall back on that strategy again despite seeming to be cured. This is most likely to happen when all the "wrong" circumstances come together and trigger that specific dog aggression. The dog may have been well behaved for years but then something happens that trigger the old behaviour. This is why most dog behaviour specialists encourage owners of aggressive dogs to continue to be on their guard. Despite what seems like successful training, it is recommended to try to avoid or control the circumstances that used to trigger the dog aggression. The first step is to understand what triggers your dog's aggressions, i.e. under what circumstances does your dog become aggressive. This can sometimes be difficult to determine, but what you do next depends on getting this right. Because changing aggressive dog behaviour is about understanding why the dog feels that way... and then change that feeling. It is not about telling the dog off for the way he feels. This is why you may want to seek professional help if your dog shows aggressive behaviour. Canine aggression can be complex to diagnose and tricky to treat, and if you get it wrong, your dog aggression can escalate and get significantly worse. It can be good to start by seeing your Vet, as aggression can be a sign that something is wrong with your dog. If your dog gets clean bill of health, then it may be time to get an advice from a qualified dog-training behaviourist. 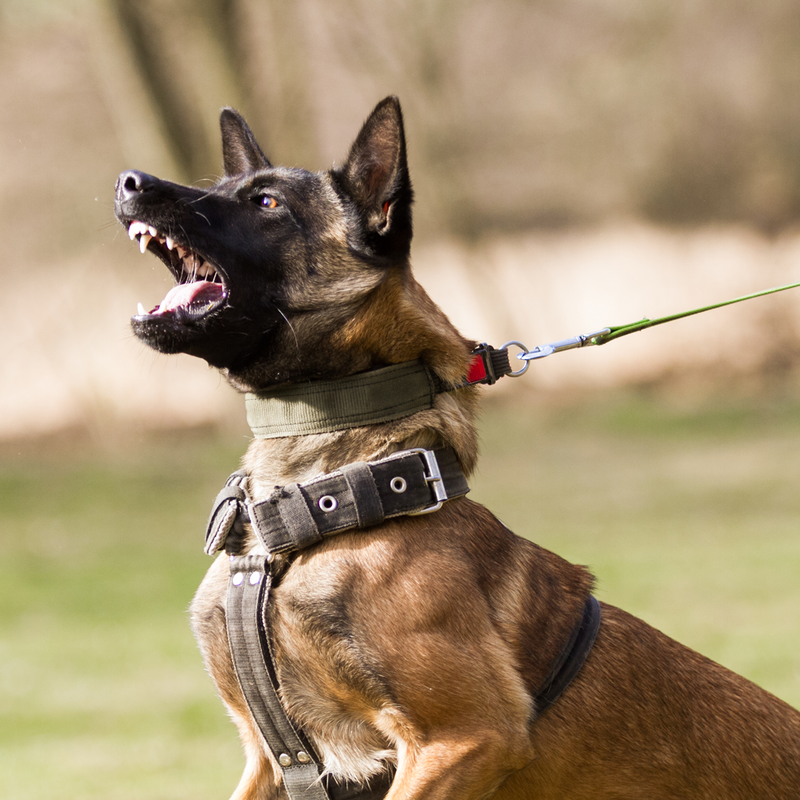 Aggressive dog training techniques are nowadays based on desensitization and counter-conditioning, or combination of both. Simply put, the goal is to teach the dog to feel differently under the circumstances that cause his aggression. For example, if your dog is aggressive towards other dogs, then one way of dealing with it includes teaching your dog to sit down, watch you and get reward while the other dog passes by. With time (and repetition), the dog will learn to associate seeing other dogs with something nice. He will sit and watch you as soon as he sees another dog. Another option is to work with another dog owner by gradually exposing your dog to his dog (desensitization). Your dog behaviour trainer will help you to find the right approach for your dog aggression training. Whatever you do, under no circumstances punish your dog for showing aggression. Your dog's aggression is his response to what he thinks is a threat. Punishing him will make him feel more threatened and can even bring him into conflict with you (aggression can lead to aggression). What else can you do about dog aggression? Some dogs may not respond satisfyingly to their training and then you need to find some other means to control the situations. This can include using muzzle, or the use of prescribed medication, like Prozac. Most dog owners though see medication as the last resorts. 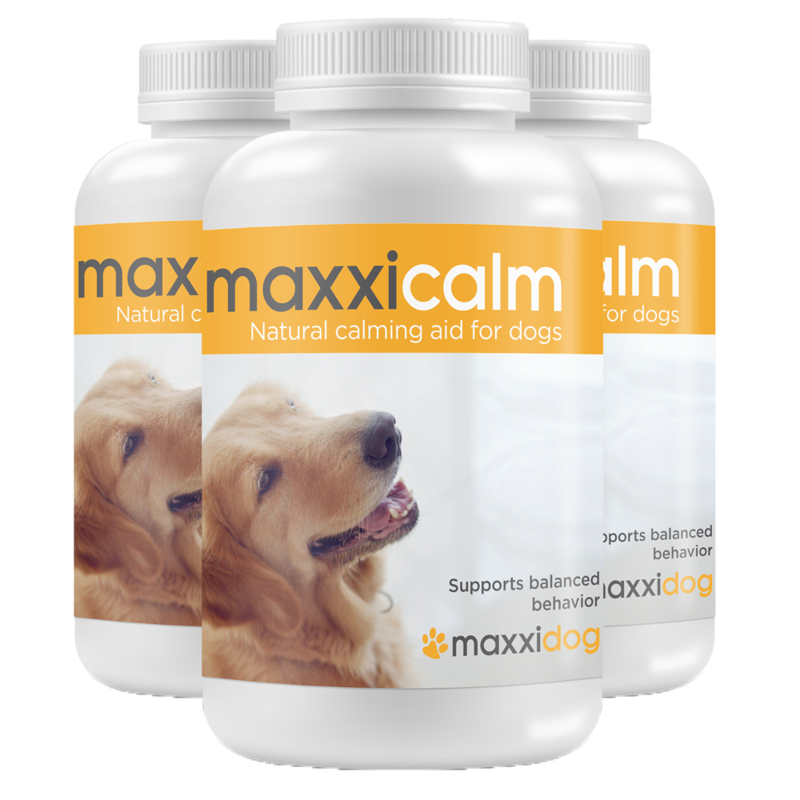 Good quality calming aid for dogs, like maxxicalm, can help some of those dogs instead. It can speed up the training progress and make the training less stressful for you and your dog. However, for the best results, all aids should be used in combination with behavioural training. - What is dog aggression? - Why are dogs aggressive? - Are some dogs naturally aggressive? - Are some breeds of dog more aggressive than others? - What are the signs of aggressive behaviour? - My dog is aggressive, what should I do? - Should I tell my dog off when it is aggressive? - Are male dogs more aggressive than female dogs? - Will neutering my dog make it less aggressive? - Will playing rough games with my dog make it aggressive? - My dog is aggressive and I’ve been told to assert my dominance over it. Should I do this? - I have a new puppy. What should I do to prevent it from becoming aggressive? - I have a new child in the family/on the way. Will my dog become aggressive? - If a dog shows signs of aggression towards me, what should I do? - Is it possible to predict if a dog will be aggressive in the future? - How do I know if a dog is about to bite? - What causes a dog to attack? - What should I do if a dog attacks me? - Why do dogs bite children? - If a dog bites a person or another animal, should it be put to sleep? - How will a professional pet behaviour counsellor stop my dog being aggressive?